A world where research conquers dementia. 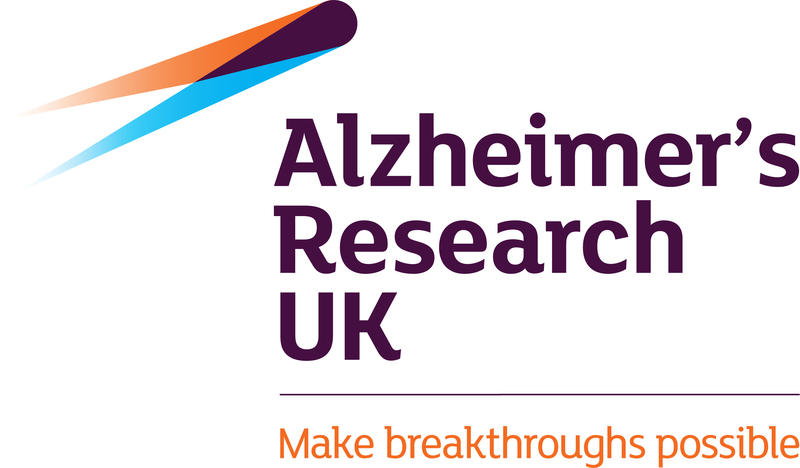 To boost, connect and revolutionise dementia discovery science. To accelerate finding new ways to diagnose and treat dementia effectively. To improve quality of life for everyone affected by dementia. To bring forward the day when we can ultimately prevent dementia. We embrace the unconventional, think outside the box and are brave enough to take risks to reap rewards. We share the best ideas, skills and tools. We progress careers. Our doors are open: we build connections with researchers globally and learn from people affected by dementia. We work at pace, using the best science to catalyse discoveries. We are forward-thinkers and adapt quickly to opportunities that take us further, faster. We challenge ourselves and each other to work at the forefront of discovery and we strive daily for world-leading quality in our science. The Prime Minister’s Challenge on Dementia 2020 set a target for research to identify treatments for dementia by 2025. The UK DRI is leading the UK’s dementia research efforts and tackling the huge challenge of dementia, which is now the leading cause of death in England and Wales. Around 850,000 people in the UK have dementia and the number of people affected will continue to grow as the population ages. There is currently no cure for any of the neurodegenerative conditions that give rise to dementia. Dementia represents one of the toughest medical and economic challenges facing our society today. The UK DRI is here to change this. The institute will transform treatment and care for people with dementia. It will lead the way in early diagnosis and uncovering how to prevent dementia. With this boost in funding, it's time to catch up with the knowledge base acquired in other diseases. UK DRI Director Professor Bart de Strooper has set an ambitious vision for the institute, identifying the gap in our knowledge of how the healthy brain functions and what leads to its degeneration. 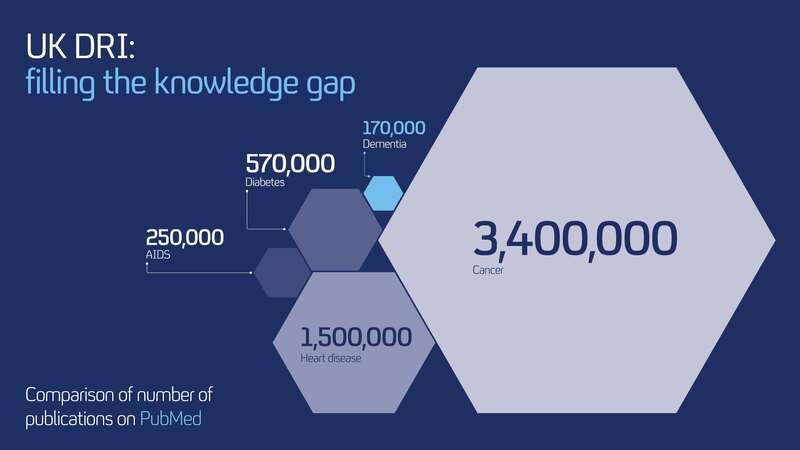 The UK DRI will achieve this by focusing on the biological mechanisms underpinning dementia. Researchers at the UK DRI will embrace novel technologies and interdisciplinary approaches in order to build new knowledge and understanding that will lead to new treatments. 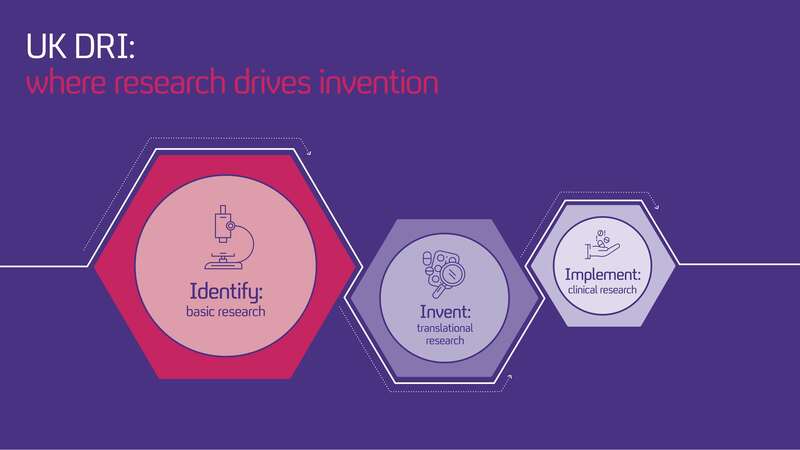 Research will initially focus on developing better models of disease and translating research findings into new diagnostics and treatments and, in the longer term, cures. A care research strand will be incorporated as the institute develops, as will research seeking to develop new approaches to prevention. UK DRI centres and research groups will naturally specialise in certain research areas, but the institute is designed to be opportunistic and grasp all good ideas that could bring us further in fighting the biggest health challenge of our generation. 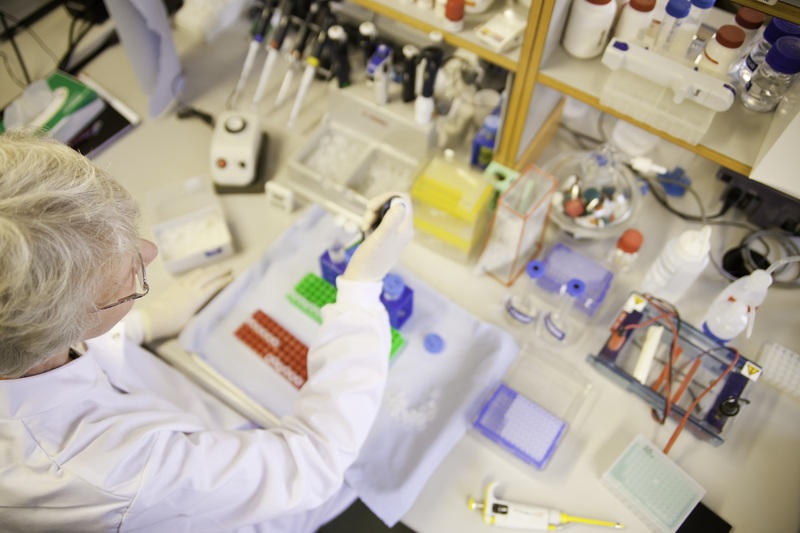 The first phase of the UK DRI establishment is focused on basic biomedical research. However, it’s important that while the UK DRI looks for new medical treatments for all dementias, it also ensures that those living with dementias and their carers can lead the fullest lives possible. That's why research into dementia care will be integrated into the institute under a new associate director in 2019. The UK DRI is breaking new ground by drawing world-leaders in dementia research into a single national institute that will be defined by close collaboration and access to exceptional research resources. Collectively they bring a range of technological and intellectual approaches to the problem. And by studying all of the dementias, UK DRI researchers will both identify commonalities across different neurodegenerative disorders, and distinguish unique features of specific forms of dementia. 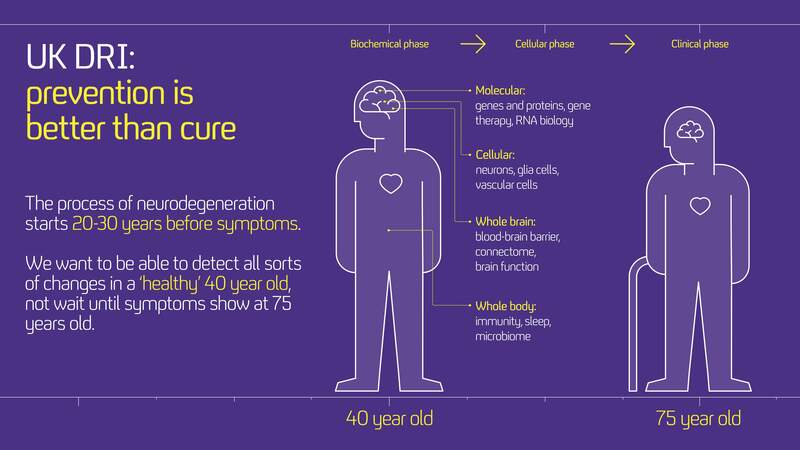 This early-stage investigation of how dementia develops and progresses, combined with our firm commitment to translation, will bring therapies to patients faster. It will be catalytic for discovering new ways to diagnose, treat and prevent dementias, and to find better ways to care for patients. Research at the institute is relevant to all types of dementia, including Alzheimer’s disease, Parkinson’s disease, frontotemporal dementia, vascular dementia, Huntington’s disease and beyond. The UK DRI will help build the next generation of dementia researchers, by attracting new researchers into the field and providing access to interdisciplinary training and cutting-edge resources. The institute will set a dynamic pace to establish a vibrant, ambitious and interactive community centred on neuroscience, of initially 400 scientists, and in the future up to 700. It will build on the strong dementias research base that already exists in the UK. Top talent and rising stars from all over the world will come to the institute, from different fields across biomedical and translational research. Together this diverse range of expertise will fill and enrich knowledge gaps in dementias. At the heart of the UK DRI is innovation. A creative ethos will run throughout the institute. A significant part of the budget will be used to expand and implement the new ideas generated by everyone working at the UK DRI, taking account of future partnership opportunities. The institute will also promote collaborative working, both across the institute and also plugging into dementia initiatives across the UK and beyond. The institute is looking to foster strong industry connections so that discoveries made in the laboratory can lead to new treatments for people with dementia as swiftly as possible.